"All Boy is a stellar read by Mia Kerick. There's something special about the way Mia Kerick writes transgender teen stories. 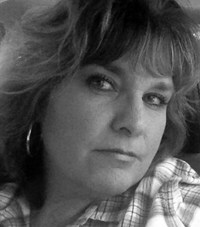 She excels at writing an honest and realistic character, while placing them into real situations. Thomas Grant Bruso is a new-to-me author, and his book Jay Bird, introduced some new-to-me concepts in YA romantic fiction, which I enjoyed. I like to focus on a single aspect of a story in a review, and a positive attitude toward the elderly, from t Thomas Grant Bruso is a new-to-me author, and his book Jay Bird, introduced some new-to-me concepts in YA romantic fiction, which I enjoyed. I like to focus on a single aspect of a story in a review, and a positive attitude toward the elderly, from the perspective of a teenage boy, struck me as poignant. Protagonist Jay Kirkman not only loves his “Grams,” but he deeply admires her. Although she is at the end of her life, Grams is portrayed as quirky and spirited and gutsy. Physical ailments are present, but they do not diminish her in Jay’s eyes. How often in literature do we see a teenage boy who struggles with all of the many issues teens must cope with—sexuality, friendship, self-acceptance, parental distance, future choices—yet puts major effort into a relationship with an elderly relative? Grams truly matters to Jay, just as he matters to her. They are not only family members, but friends. Maybe even soulmates. I’m a huge fan of Jesse Frankel’s YA novels. Also an author of teen literature, our novels vary greatly—he uses exciting supernatural adventures with a hint of sweet romance to examine the hardships of human reality where I look at teen life through I’m a huge fan of Jesse Frankel’s YA novels. Also an author of teen literature, our novels vary greatly—he uses exciting supernatural adventures with a hint of sweet romance to examine the hardships of human reality where I look at teen life through a contemporary and realistic, angsty lens. However, Frankel didn’t hold back on the angst in Ether—the nail-biting kind you find in a suspenseful action movie. The characters in Ether are well-defined—Sam and Esther, teen outcasts, their supportive mothers, and the brutal and remorseless villains. The story’s events unfolded through Sam’s eyes, and I identified with him fully within the first few pages. But as much as I related to him, he was never predictable. His actions never ceased to surprise me. And although Esther remained a mystery until the very end, I knew her voice and liked her sassy personality immediately. The bad guys in Ether are just so evil—close to over-the-top—which works well in this no-holds-barred story. There was no low to which they wouldn’t stoop. This leads me to my next observation—if you think Frankel will hold back and not “go there,” in terms of the actions of his characters—you will be wrong. He takes a giant leap from the relative safety of many YA stories and allows his characters—the protagonists and the antagonists—to commit uncompromising acts of cruelty and revenge. I found myself thinking “enough, enough—stop right now!” and “please don’t do it!” as I read. As you can imagine, Ether is quite a page-turner. We’d love your help. Let us know what’s wrong with this preview of Ether by J.S. Frankel. Author Dianne Hartsock whisked me away on an adventure of yesterday and today, about men both sturdy and fragile, with souls, both good and evil. My lasting impression of Nicolas: characters in fiction are not always what they at first seem. We first Author Dianne Hartsock whisked me away on an adventure of yesterday and today, about men both sturdy and fragile, with souls, both good and evil. My lasting impression of Nicolas: characters in fiction are not always what they at first seem. We first meet Jamie, emotionally damaged and seemingly defenseless. But as he journeys through pleasure and pain—in mind and body—we learn that Jamie is fierce, if not physically strong, and he is steadfast in the face of his own fear. Piter—enticing, with piercing emerald eyes and long blond hair—calls to Jamie’s most sordid needs, but he is a paradox, as well. While stunningly beautiful and attractive, he simultaneously repels. And then there is Nicolas… Older than time, yet a virile young man, he appears as powerful as Jamie looks fragile. But Nicolas is needy for the inspiration to continue his fight against evil and is emotionally breakable. In Nicolas, Dianne Hartsock cleverly weaves a story in which evil comes in a beautiful package, power is relative, and heroes can be strapping or diminutive. The visual images of Christmas that Hartsock creates are charming—what a great holiday read this would be. And then there’s the cover… it is one of my all-time favorites! 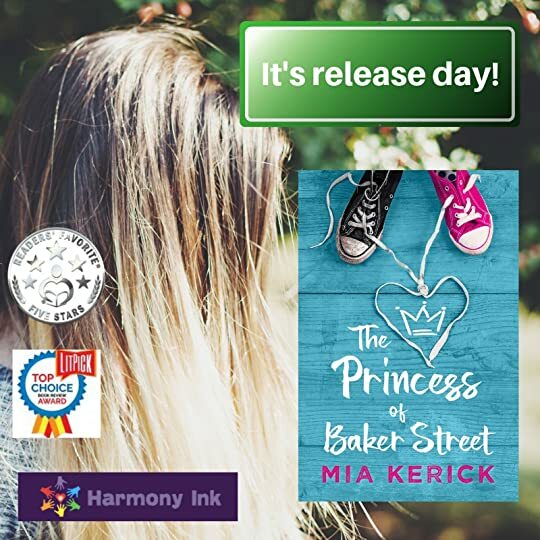 The Princess of Baker Street is a young adult coming of age novel written by Mia Kerick. Eric Sinclair and Joey Kinkaid had always been best friends, and they were the focal point of the Baker Street gang, five kids who ran and played and pursued a grand fantasy of the imagination. Joey was their Princess Ariel, and the gang had no issue with that, until they all got a little bit older. Now that they were in middle school, however, Travis and Lily made it their goal in life to torment Joey, and Eric’s own home situation made it imperative that he not get involved or in trouble at school. When their geography teacher assigned Eric and Joey to be study partners, Eric was conflicted. He feared the condemnation and scorn of his peers at school, but, even more so, he loved being part of Joey’s life again. He just couldn’t understand why Joey did the things that made his time in school so very difficult. The Necromancer’s Smile is the first book I've read by Lisa Oliver. It won’t be the last! In the past, I've read several books about wolf shifters, but I’ll admit it has been a while. And I’d never heard of a necromancer until I read this book (I lear The Necromancer’s Smile is the first book I've read by Lisa Oliver. It won’t be the last! In the past, I've read several books about wolf shifters, but I’ll admit it has been a while. And I’d never heard of a necromancer until I read this book (I learned a lot! ), and I truly wish I knew a tried-and-true necromancer. Having the assurance that people I care about are still carrying on in another realm would be so comforting. What an amazing, but complicated, gift Sy has! I view the world Lisa built in The Necromancer’s Smile, with various types of shifters and characters who possess different gifts of magic (hope this is the right term—I’m a newbie to this), to be a parallel of today’s society, where people of different ethnicities and gender identities and faiths and more must learn to trust one another to work together. The characterizations of Dakar and Sy and the conflicts they dealt with felt real, and I rooted for them from beginning to end. The mate-for-life idea is about as romantic as romance comes, and Lisa certainly got their dire need for each other across to me. We’d love your help. Let us know what’s wrong with this preview of The Necromancer's Smile by Lisa Oliver. I’ve got that I’m-so-empty-because-it’s-over feeling... Why, you ask? Because Julian Winters’ RUNNING WITH LIONS is a five-star-plus YA novel that has it all… and yesterday, sitting in my favorite royal blue Adirondack chair out by the pool, I finish I’ve got that I’m-so-empty-because-it’s-over feeling... Why, you ask? Because Julian Winters’ RUNNING WITH LIONS is a five-star-plus YA novel that has it all… and yesterday, sitting in my favorite royal blue Adirondack chair out by the pool, I finished. For me, this summer has been crazy—tons of editing and promoting for my own YA books, outdoor concerts in our town’s huge music venue, my four kids coming home from college and law school—but every day I took the time to sit by the pool and read. In RUNNING WITH LIONS, I escaped into Sebastian Hughes’ intense summer at soccer camp, and later into his life as a slightly apprehensive high school senior. I found myself caught up in his devoted friendships, his blossoming love of another boy, and in his fear of the future. Julian Winters understands the teenage soul—the longing, the self-awareness, the challenges, the confusion. He easily pulled me into Sebastian’s world where I met perfectly imperfect teens and positive adult role-models. I also learned more about healthy competitiveness and team-building in sports, than I ever expected. Sebastian’s world became my welcome summer escape. “And your feelings for him, Cory?